Originally published 31 May 2016. This past weekend marked the International Day of United Nations Peacekeepers, a day established by the UN General Assembly in 2002 to pay tribute to military, police and civilian peacekeepers and honour those that have lost their lives in the cause of peace. Australia has an incredibly proud history of deploying personnel to UN peacekeeping operations. Next year will mark 70 years since Australia first deployed personnel under UN auspices to the Dutch East Indies. Since then Australians have served in dozens of UN peacekeeping missions across the globe, in locations ranging from Rwanda to Somalia, and Cambodia to Timor-Leste. ADF and AFP personnel continue that service today in difficult and challenging environments in South Sudan, Liberia, Cyprus and the Middle East. Yet we remain a small contributor for a country of our size and influence in the global order. Take countries in the G20 as an example. Only two countries deploy less UN peacekeepers than Australia: Mexico, which only recently re-engaged in UN operations, and Saudi Arabia, which deploys none. And Australia’s numbers are set to decline even further. The last contingent of AFP police peacekeepers (currently 10 personnel) serving in Cyprus are set to withdraw by 30 June 2017. That means Australia is likely to have no police deployed to a UN peacekeeping operation for the first time in over 50 years. That’s an unfortunate development when you consider Australia’s leadership in spearheading the first UN Security Council resolution on the role of police in peace operations (2185). Just over five years ago UN officials suggested that UN peacekeeping was entering a period of consolidation. Yet despite that prediction, the number of peacekeepers has increased again in recent years, with new missions in Mali and the Central African Republic, and an increase in the size of the mission in South Sudan. 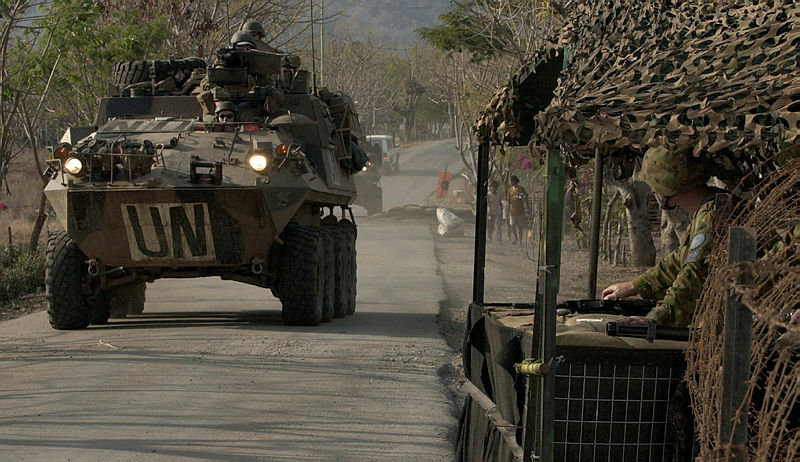 Although there are expected drawdowns in missions in Liberia, Cote d’Ivoire and Haiti on the horizon, history has shown that there’s often an unexpected need for UN missions. Syria, Libya and Burundi may be among some of the potential candidates for a UN peacekeeping mission in the near future. In recent years, high-levels of demand for UN peacekeepers created a situation where demand often outstripped supply. The Security Council kept authorising new missions, but the UN couldn’t generate commitments from countries quickly enough to respond. In Mali and the Central African Republic, the UN re-hatted already deployed African Union missions, despite concerns that troop and police contributors didn’t meet performance standards, were known to have questionable human rights records, and often didn’t have the necessary equipment. Consequently, those peacekeeping missions haven’t been as effective as they might have been in implementing their mandates, particularly when it comes to protecting civilians. Several reforms are underway to improve force generation processes in light of a high-level review last year. However, in order for UN missions have a broader base of capabilities to draw on, it also requires well-equipped and trained countries—such as those previously engaged in NATO operations in Afghanistan—to re-engage in UN peacekeeping. Several of those countries are in the process of stepping up their commitments to UN peacekeeping. The Netherlands and Sweden have deployed personnel and enablers to Mali in substantial numbers. The UK has just started deploying personnel to assist with capacity building in Somalia, and is expected to increase its deployment in South Sudan. And Canada’s Trudeau government is considering options to re-engage more substantively in UN peacekeeping. Even the US has been utilising its political weight to improve the supply of peacekeeping personnel and capabilities the UN has to choose from. President Obama co-chaired a leaders’ summit on peacekeeping in September 2015. At the summit, more than 50 countries pledged an additional 40,000 troops and police to UN peacekeeping missions. China, Cambodia, Fiji, Indonesia, Japan, Korea, Malaysia and Thailand were among those countries in our region committing to deploying more personnel. While Australia didn’t make any commitments to deploy more personnel, the Foreign Minister pledged that Australia would provide training to our regional neighbours and provide strategic airlift ‘where and whenever we can’. However, Australia hasn’t provided any C-17 Globemasters or C-130 Hercules for strategic airlift to UN peacekeeping since January 2014. And there hasn’t been any substantial increase in already established peacekeeping training programs in that time. In September this year, the United Kingdom will host a follow-on ministerial summit on UN peacekeeping in London. As a country previously making a pledge, Australia will be invited to take part. The event will either present a liability or an opportunity for Australia, depending on the future consideration given to our engagement in the coming months. There’s a real risk that Australia may be perceived as stepping back from this commitment to the global rules-based order at the very moment when our allies, partners and neighbours are heeding the call to step up their operational commitments to UN peacekeeping. Australia has a proud history of service in UN operations and that should be remembered and commemorated. But we can’t rely on that history to demonstrate our ongoing commitment, nor support our security interests. The government needs to build upon it and give serious consideration to options for Australia’s future engagement as a contributor to UN peacekeeping. Lisa Sharland is a senior analyst at ASPI and a non-resident fellow at the Stimson Center. Image courtesy of the Department of Defence.